One of the biggest limits of electric transportation is the difficulty of storing energy: while electric car batteries have developed dramatically in the last decade, they still suffer from safety, price and a short life span issues. New technology unveiled last week shows that the future just might be brighter. 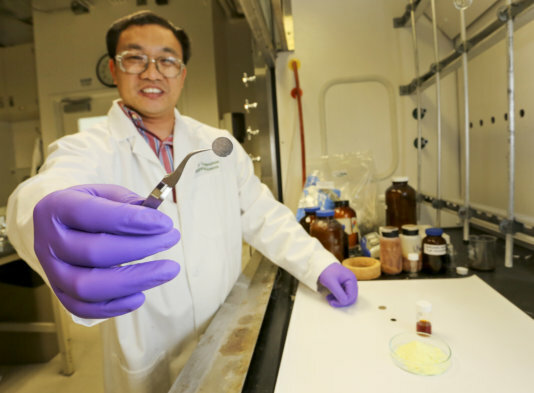 Researchers at the DoE’s Oak Ridge National Laboratory (ORNL) have developed a lithium sulfur battery that is not only cheaper and safer than lithium-ion batteries, but can store four times as much energy. Used in small electronics and electric vehicles, lithium-ion batteries are a standard for energy storage, but lithium sulfur batteries - which are already used in some solar aircraft - have the potential to succeed as an alternative with much higher energy density, and ORNL’s all-solid Li-S batteries are testing as safer and more durable than current Li-ion’s. "Our approach is a complete change from the current battery concept of two electrodes joined by a liquid electrolyte, which has been used over the last 150 to 200 years," said Chengdu Liang, lead author on the ORNL study published this week in Angewandte Chemie International Edition. Scientists have been excited about the potential of lithium-sulfur batteries for decades, but long-lasting, large-scale versions for commercial applications have proven elusive. Although the team's new battery is still in the demonstration stage, Liang and his colleagues hope to see their research move quickly from the laboratory into commercial applications. A patent on the team's design is pending.